AT&T’s CEO laid out the company’s blueprint for video success. It boils down to right-sized profitable packages. He also reveals the real reason Time Warner was so critical to achieving his grand plan. 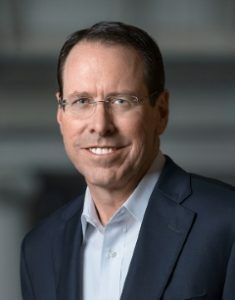 Randall Stephenson, AT&T’s CEO, revealed his plan for video at the UBS 45th Annual Global Media and Communications Conference last week. It involves multi-tiered right-sized offerings and will involve painful changes in current product configurations and how content is bought and sold. Here’s how his vision plays out. Mr. Stephenson believes the current pay TV and linear TV channel model will persist for “some time to come.” He believes DirecTV satellite service is the Cadillac offering in that world and does not plan to make major changes to it anytime soon. Not that he wouldn’t like to make changes. For example, he mentioned the company wants to do more with NFL Sunday Ticket but is hemmed in by licensing restrictions. The price point Mr. Stephenson has in mind is $50-$60 a month. DirecTV NOW’s current tiers run from $40 to $75 a month. So, it appears he plans to remove channels and simplify the tiers. Quite how that will play with the 1.8 million existing DirecTV NOW customers is anyone’s guess. The two value offerings from AT&T sound the least well thought out of the company’s blueprint. The price points and channel approach seem to overlap a great deal. Perhaps AT&T will simplify things even further and simply fold DirecTV NOW into the new DirecTV OTT services structure. Earlier this year Mr. Stephenson explained he wanted to pay content providers based on the amount people watch their content. Such usage-based pricing is a radical idea most programmers will not accept. However, WarnerMedia provided AT&T with a base of content it could include under this model and made the creation of WatchTV possible. Pricing of the three tiers is not clear, though the middle tier could be in the same range as Netflix ($8-$14 a month.) It’s also not clear what happens to HBO NOW when the new tiered product appears. 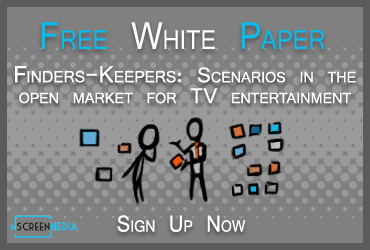 However, it looks like the middle tier could be a good place to put existing HBO NOW subscribers. For the future, AT&T will introduce an HBO-anchored 3-tier direct-to-consumer service in Q4 2019. A dongle connected to the USB port could be providing hardware-based security allowing AT&T to leverage DirecTV’s existing content licenses in the new service. He also could have misspoken and meant the HDMI port.